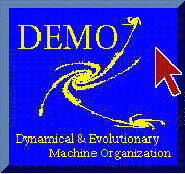 DEMO attacks problems in agent cognition using complex machine organizations that are created from simple components with minimal human design effort. We study recurrent neural networks, evolutionary computation, and dynamical systems as substrates. We build working systems to test our theories. Here are some of our themes.